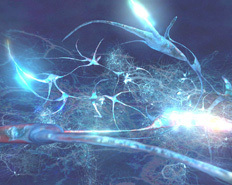 neuron animation? art to boost your ideas and illustrate your projects. 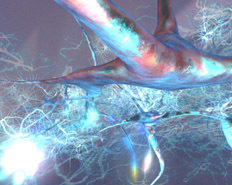 click here now to use these neuron animation movies in your projects! Animations of brain cell neurons firing in the brain. 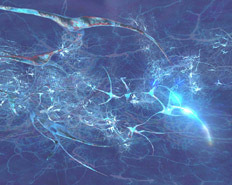 The brain neurons carry electrical signals called action potentials, via synapses. Such activity occurs constantly during any mental state where the mind is active such as meditation and even when the mind is apparently passive as in hypnosis or dreaming. During normal wakefulness, the mind is operating in a Beta range of frequencies (14 -21 cycles per second). During meditation and hypnosis the brain wave frequencies slow to Alpha (7 - 14 cycles per second). 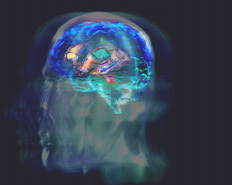 When in dream state, the brain is in Theta (3-8 Hz) or Delta (0.1-3Hz). The animations are PAL 720 by 576, 25 fps, these meditation / anthrax animation previews are 400 by 225 mpg's. Right click image and choose 'Save Target As...' to download. Use animation to illustrate your ideas!